Learning colors and color words through fine motor play is fun for preschoolers. Wikki Stix comes in an array of beautiful colors to enhance seasonal learning with the pumpkin-themed colored clip cards. Grab your own Wikki Stix, the FREE colors clip cards, and invite your preschooler to hands-on playful learning this fall. Prior to the activity, print the pumpkin-themed colored clip cards, laminate for durability, and then cut out each of the clip cards. Set out all colors of Wikki Stix, the free printable clip cards, and the clothespins on a table or tray as an invitation for preschoolers to create and play. Kids should use Wikki Stix and wrap the top prong (see photo below) of the clothespins in each of the Wikki Stix colors (two wrapped clothespins of each color are needed for the clip card activity). Remind kids to only wrap the top prong of the clothespin with Wikki Stix so the clothespin will still open (if kids wrap the entire clothespin together, it will seal the clothespin shut). Wrapping the clothespins with Wikki Stix is an awesome fine motor skills activity for preschoolers. 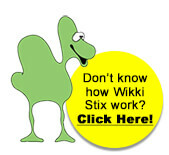 One Wikki Stix will fit regular-sized spring clothespins with ease. Show the children the pumpkin-themed clip cards. The color words are highlighted in the matching color for children who are just beginning to learn color words. Demonstrate how to open the clothespins and clip the corresponding colored pumpkins on each of the printed pumpkin cards. Kids should then choose the corresponding Wikki Stix-wrapped clothespin and clip the pumpkins with the same color on each of the cards independently. Parents and teachers – observe preschoolers as they open the clothespins for challenges with fine motor skills that may require more practice. 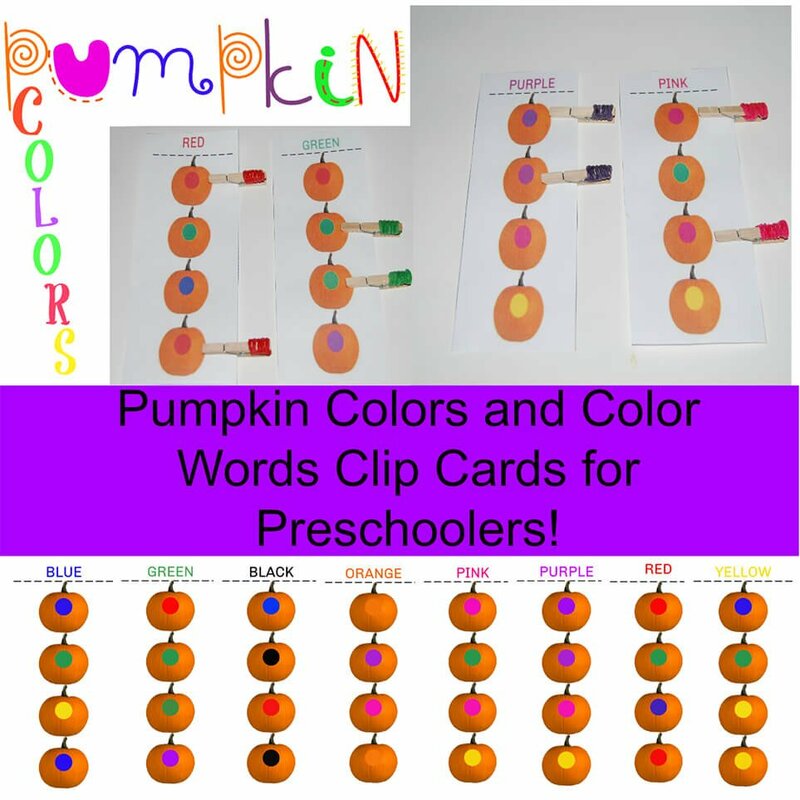 Remind preschoolers to look at the color of the clothespin, the color word on top of each pumpkin-themed clip card, and open the clothespin to clip it on the pumpkins with the matching color. Note: For children just beginning to learn colors, set out one or two of the colored clip cards at a time. 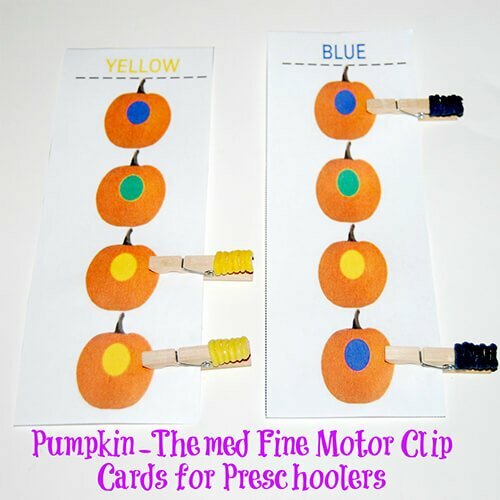 As preschoolers gain confidence with color recognition skills, add more pumpkin-themed clip cards to the center or activity tray.